A bouquet is usually made just from flowers, but that doesn’t have to be the case. 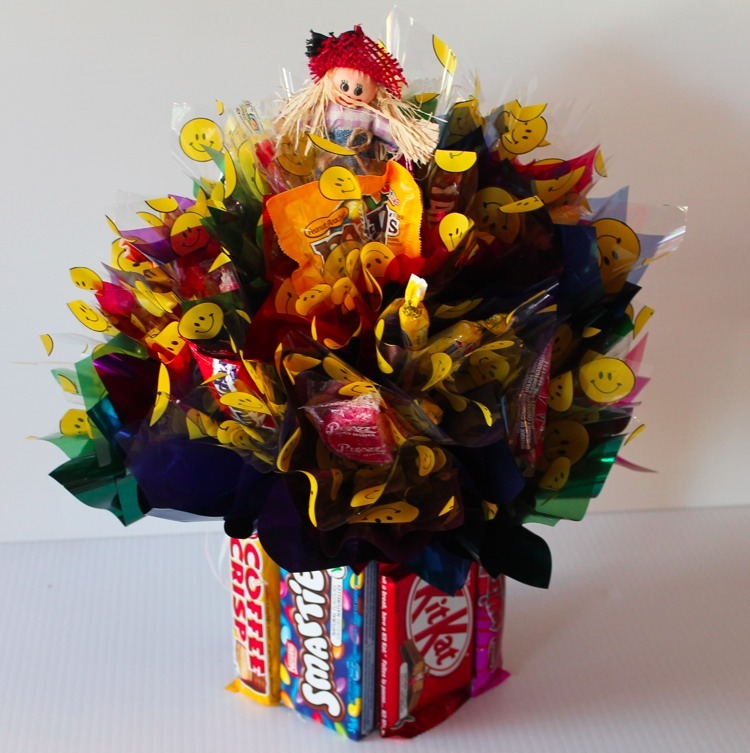 You can make your bouquet more interesting by adding other items, such as candy. Yeah, you read correctly, I said, Candy! Trim the lollipop sticks to about an inch or two in length, or just below the wrapper. lollipops can be moved around and positioned more easily. Trim the stems on the rose bud heads, and then wire and tape them. squeeze the wire around the stick. soften the bouquet, and make it appear more like an everyday floral bouquet. strand, and then stem tape in place. Then slowly insert the leaves between the lollipops. Fan the lollipops into a circular shape, with the leaves facing out. Place the flowers in next, keeping two lollipops between each flower. Fill any gaps left over at the end, with leaves and pearlies. them around the base. You can use normal ribbons or curling ribon. The last step in making a candy bouquet is to trim and tape the handle. That’s it! Simple isn’t it? All you have to do now, is resist eating the bouquet long enough for some other people to see it!